The holidays are almost here and parents will soon be looking for fun ways to keep their bored children occupied. We have found some awesome ways in which you can keep them busy – and raise them well, raise them to be mindful and raise them green! Buy or build recycling bins, label them and teach your children about recycling. It will take less time than you think, and kids often really enjoy tasks like pulling the label off a can and separating the tin and paper. You could also build eco bricks with plastic ‘landfill waste’, compost your fruit peels or build a worm farm. We need to adopt the mindset that there is no “waste” – most things can and should be recycled or upcycled in some way. Donate the toys your children no longer play with. By holding on to them, all you’re doing is storing clutter and collecting dust. Keeping unwanted clothing and toys also lessens their usefulness and takes away the joy someone else could receive from using them. School holidays are a great time to go through your children’s toys (together with your kids) and decide what you’d like to donate. By upcycling, we mean reusing what you already have. Dig in the recycling box and use what’s there to create something new! Head into nature and use twigs, leaves, acorns and your imagination to build forts, castles or empires, ready for little Lego men to jump into. Modern consumer culture has taught us that we need everything new, every time. In a bid to counter this, more and more online stores are popping up encouraging the purchase of “gently used” or “pre-loved” clothes, toys and books. What a beautiful thing it is to share, to give a longer lifespan to our “stuff” and to put more thought into how we spend our money. Try to snack on what doesn’t come in a wrapper (which will most likely end up in a landfill site). Buy in bulk (saving time and money) and decant food into reusable glass jars or BPA-free containers. Raisins, dried mango strips or apple rings, yoghurt, frozen berries and nut butters are healthy options. Why not bake a batch of delicious homemade muffins, or lemon yoghurt scones with your children and store the extras in the freezer? To be a mindful inhabitant of the Earth, we need to spend time in nature. Take your kids hiking, go canoeing on a lake, or drive into the bush to spot wild animals. Go berry picking, find a bike track and go cycling, or hit the beach on a sunny day. Book a campsite and stare at the stars for hours – especially if you’ve never done it before. 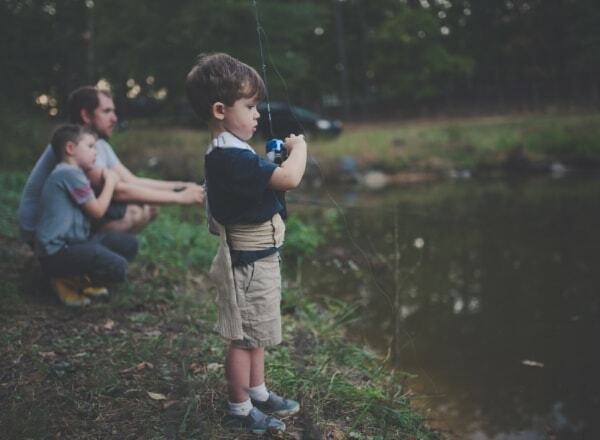 Not only do these activities foster beautiful, slow time as a family; they broaden our children’s worldviews and the things they come to value. Build a veggie box (or even a chicken coop), plant herbs or fruit trees and allow your children to take ownership of them. Ask them to pick the greens for a salad, collect the chicken eggs, and water the lemon tree. Connect the dots between our food and our dinner table and, where possible, exclude the big produce retailers by producing your own organic goodies. Teach your children about chemicals, screen time, too much sugar and how it makes you feel. Explain the difference between natural products and synthetic ones, and how what you eat, put on your skin and how you spend your time really matters. Read books together such as Dr Seuss’ The Lorax, or the Little Green Book series. Celebrating important moments is such a great tradition to nurture, so why not celebrate the Earth! Make an effort to celebrate Earth Day, Arbour Day and World Oceans Day, and switch off the lights during Earth Hour.